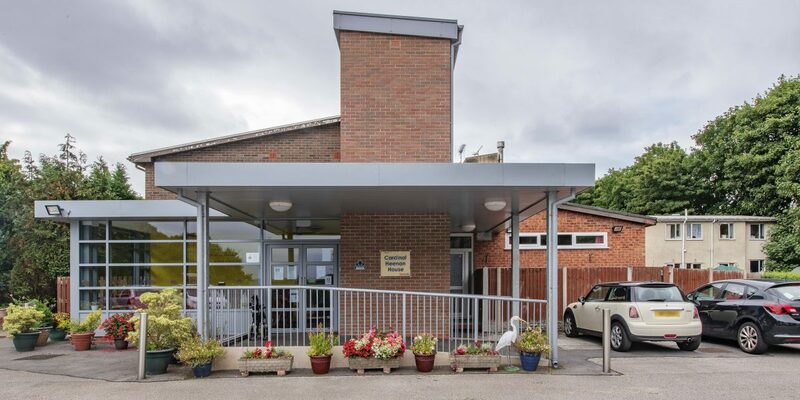 Its enclosed gardens overlook the neighbouring primary school field on one side and a spectacular wooded dell on the other. At Cardinal Heenan we work in the ethos that every individual is precious and valued. Our vision is: to create a safe and caring place to live. Our team uses the person centered approach to care. Person Centred Care. This means focusing on the individual remembering that each individual has a rich personal history and a unique approach to life. First and foremost, it means thinking about each person’s feelings, and allowing this to govern how we respond. It also means supporting each person to do as much as possible for him or herself. We do our best to make a huge difference to the quality of life of our residents by how we treat them. 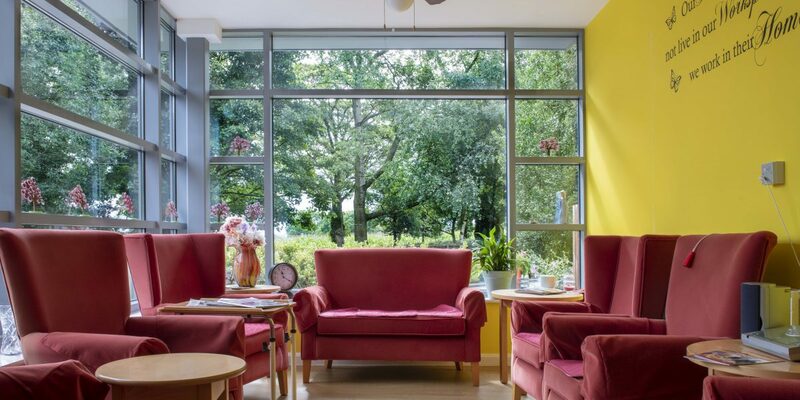 Every resident moving into our care home will have a detailed care plan written with the person, in the ‘first person’ and discussed with him or her involving any representative or nominated family members. All our staff are well trained in all aspects of care and carry out regular refreshers to ensure they are using the latest guidelines available for those working in the care sector. All staff members are trained to understand dementia, including Alzheimer’s disease and vascular dementia. Different types of dementia affect the brain at different rates and in different ways. Things like someone’s personal circumstances, the people around them and the environment in which they live, will affect their experience of dementia. Dementia progresses in a way that is unique to each individual. At Cardinal Heenan we aim to provide specialised dementia care and support with understanding, patience and skill. The environment in and our approach to risk assessment are specially adapted to enable each person to remain safe while being as independent in everyday living skills as possible. We hold regular Dementia Friends sessions for relatives and the local community and take every opportunity to hold events in the home with an annual Garden Fete and Bonfire. Cardinal Heenan House has an on-site chapel which is open at all times for prayer and reflection. There is a daily Mass and individuals or their family and visitors, Catholic or of any denomination or faith, are always welcome. There are also periodic half day of recollections during the year e.g. at Christmas, Easter, and during the summer. The content is personal prayer, silence, scripture readings, and sharing of thoughts. The Sons of Divine Providence priests offer the Roman Catholic sacrament of Anointing of the Sick periodically, to give spiritual strength and comfort in times of sickness or failing health and residents of the care homes are encouraged to ask to be anointed when they are sick. A priest will visit a sick resident on request, including while they are in hospital or in bed. In the event of a health emergency, and only in accordance with a resident’s known wishes, a priest will be called to anoint the person before they travel to hospital. Priests are available on request to those who wish to make their confession. Non Catholic individuals may wish to receive visits from their own ministers, who are always welcome. A list of local Ministers is available and staff will help residents to make contact with Ministers from their Churches. Staff members are made available to support individuals of any religion to practice their faith. 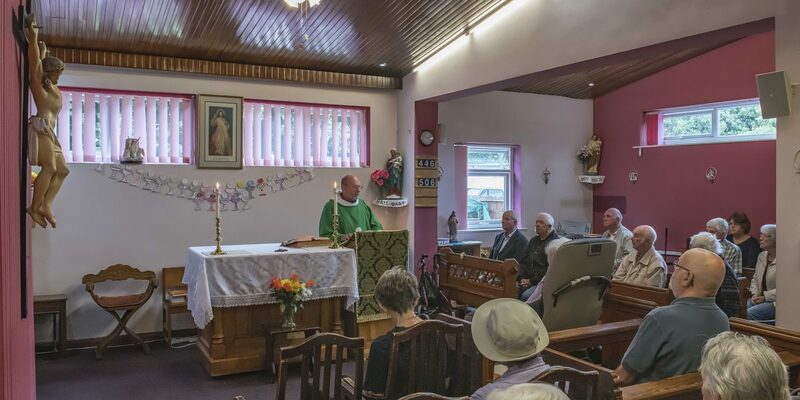 A priest attends the regular resident meetings from time to time to discuss the range of pastoral and spiritual services available. In the grounds we also have our own grotto which is a focal point for various processions in the year, when the local community, our residents and their families, are invited to participate. The grotto is also used by the residents for quiet or reflection time. 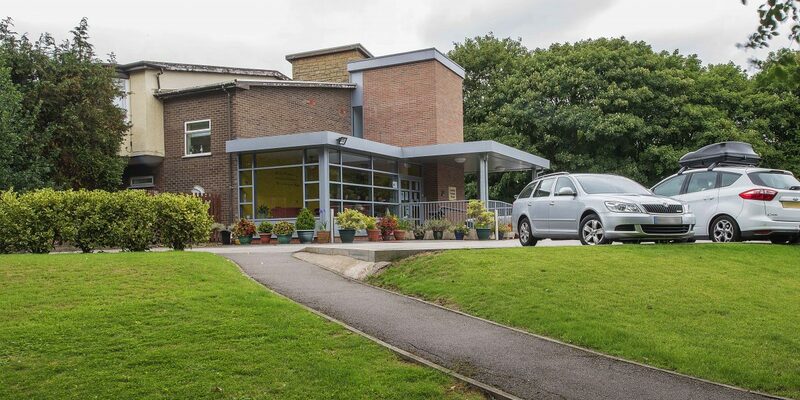 Our home has wheelchair access and ample car parking. Newspapers can be ordered and delivered to any room. All our corridors are themed and include fashion, music, sport, seaside and springtime. Each has been given a street name after consultation with our residents. The corridors have been refurbished to ensure that the use of colour, shade and lighting do not disorientate, for example by painting door colours to contrast with the walls. Toilet doors are all painted the same colour to make it easy to recognise. We use pictures as well as words and these are positioned at the height recommended in well-researched design guidance from the Stirling Dementia Services Development Centre. Our food is freshly cooked, and we use fresh seasonal produce. We offer a choice of nutritionally balanced meals and cater for any special dietary requirements. Mealtimes are a social and enjoyable time of the day. We offer a winter and summer hydration menu to ensure our residents are hydrated at all times which includes reviewing our meenus to ensure hydration boosters are included in our food. We have 31 rooms all of which are fully furnished and decorated to a high standard. Residents are more than welcome to bring personal items with them to make their room feel like home. Our rooms are situated on both the ground and first floors which has a lift access. We have a specially equipped bathroom and separate shower room to meet all our resident’s needs. The prices vary and can be obtained from the manager on 01695 622885. One large open plan lounge with TV and DVD player . Doors open to an outside area with tables and chairs for the warmer days. A smaller lounge with TV and DVD player. A conservatory for relaxing and enjoying private visits from relatives and friends. A Chapel for spiritual activities such as daily mass and an outside Grotto. Quiet seated areas for reading and relaxing. A large open plan dining area. We take time to understand what our residents like to do with their day. Each resident has an activity plan which sets out how they like to spend their day and what activities the like to participate in. The activities programme is planned weekly to try and ensure very resident is given an opportunity to participate in an activity if they wish to. In 2018 we installed the Tovertafel (Magic Table) which provides moments of happiness for those living with Dementia. The Tovertafel is a fun care innovation that connects older people in the late stage of their dementia journey with each other and with their surroundings, all the while stimulating movement. The beautiful games were developed specifically for the target group and can be played both independently and under supervision. We welcome comments about our services at any time from anyone who uses our services including, health professionals, entertainer’s families and residents. We provide a comments card for all visitors to complete each time they visit if they want to. We hold bi-annual relatives meetings and operate an open door policy so that all relatives feel able to pop in and ask the management team any questions they may have. We consult with our residents at every opportunity involving them in all decisions about their home for example the choice of food on the menu, floor covering, wallpaper and colours for walls and doors. Additionally, we carry out a monthly consultation about food, activities and care received asking them for feedback, so we can take on board any areas for improvement. Anyone who uses our services, can attend the meetings of our Trustees, which are four times per year which will be published in the home. Whenever anyone tells us we have got it wrong, we will follow our complaints procedure and work hard to put things right again.